A lightweight design, with all the essentials you need for poor old tom. Two large bellows pockets, one with a zippered flap, inner pockets for calls, tubes etc. 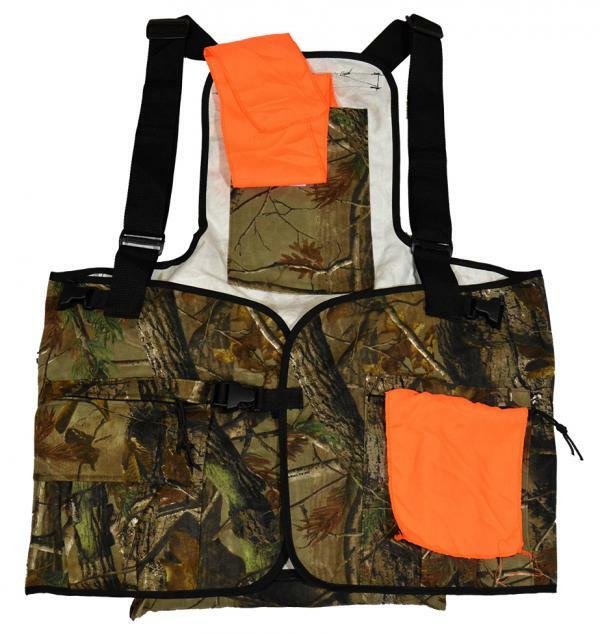 Lined game bag, back pad, and of course a drop-down seat. Three hunter orange flags for safety. 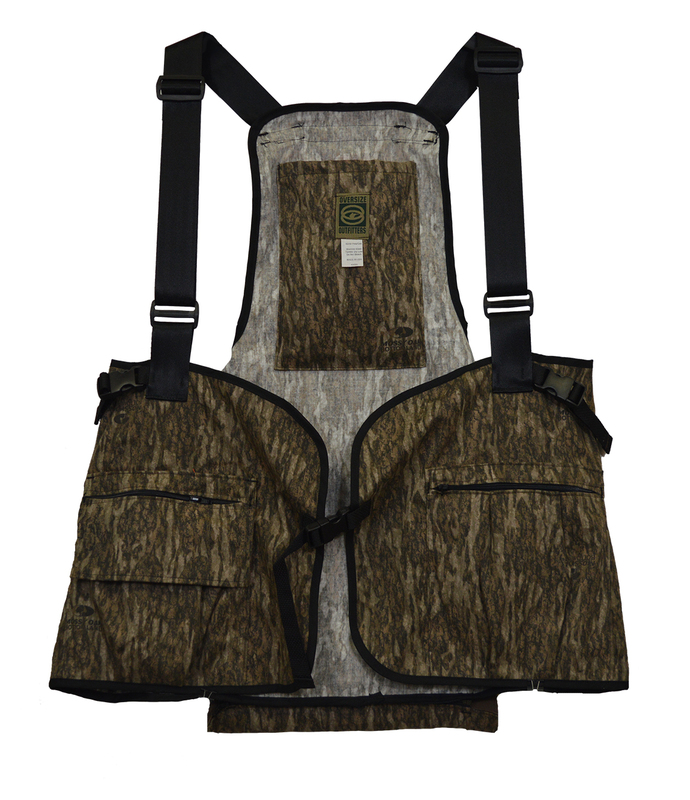 The seat zips off, so you can use it as an upland strap vest if you like. Plenty of adjustability, whether you're tall or short. That's the best part -- it's gonna fit you. 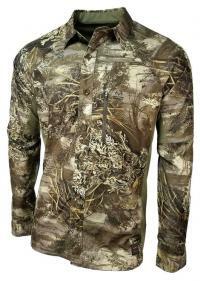 Sizing tip: the 6/7X measures about 72" around, before you let the straps out, the 4/5XL about 64". Ain't nothin' like 'em nowhere".